Last edited by Giles on Fri Jan 02, 2009 1:59 am, edited 2 times in total. How do you upload photos??? Hello and welcome to the forum. We do not host photos here, they must be hosted at a third party service and linked to. Look here for two options on hosting photos, choose one. It looks like it might be a Ginseng Ficus a variety of F. microcarpa/F. retusa. 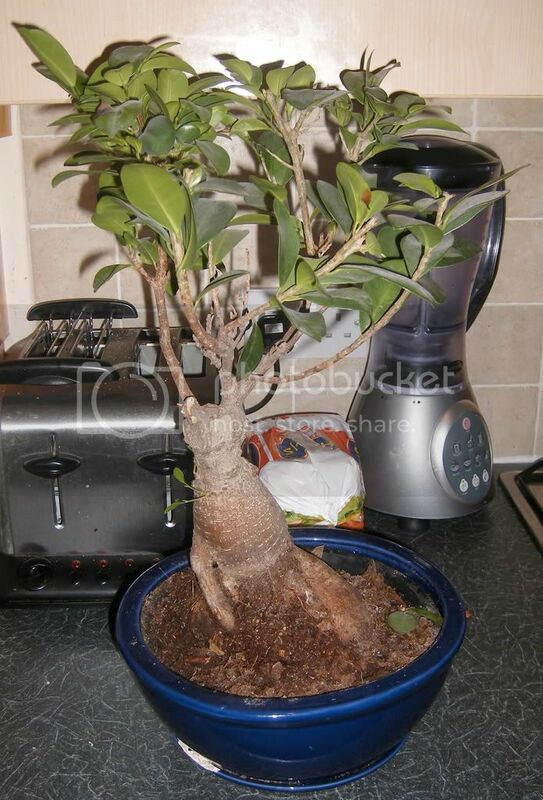 Snip off a leaf or small twig and look for a milky sap that is indicative of Ficus. There are numerous threads on this forum concerning them, use the search function to locate them. Here are some useful links. My first Bonsai: Ficus "Ginseng"